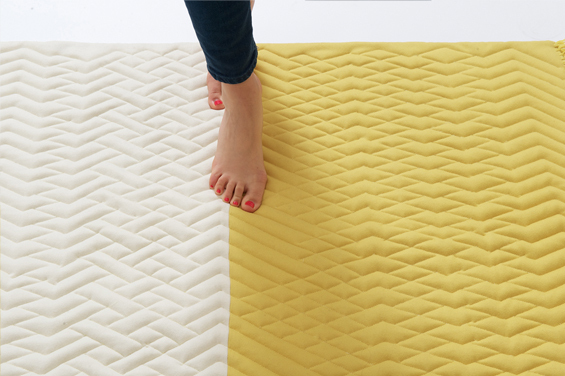 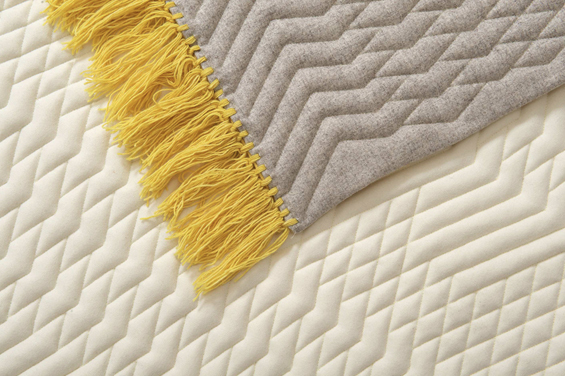 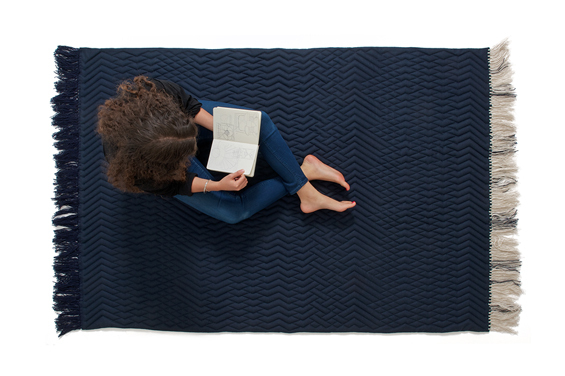 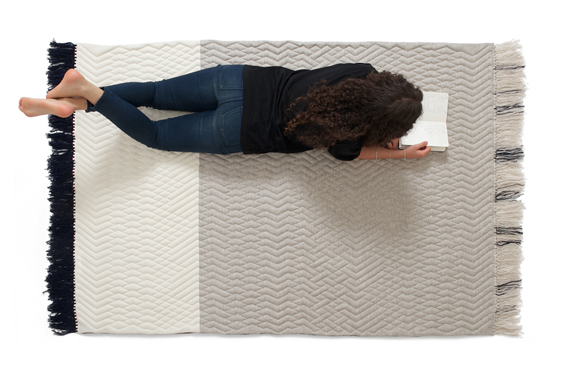 Inspired by the soft structure marked in the sand, the carpet DUNE is constructed in a way that brings out a three-dimensional pattern: The components are quilted together forming a structured surface with a layered depth. 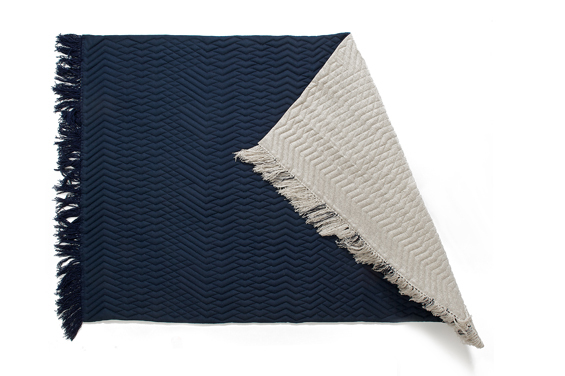 Main material is woven loden, a soft and durable woollen cloth.The intensity of the shadow-lines varies depending on the light. 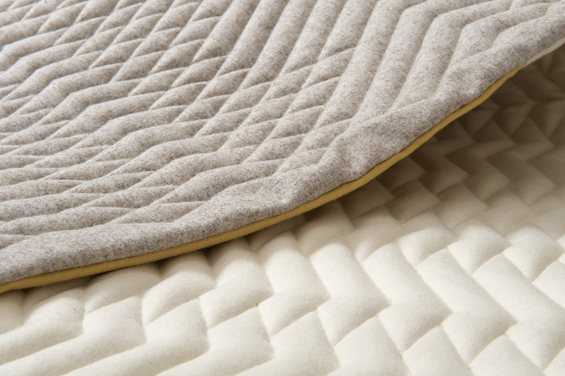 The soft surface is inviting to sit, lie and to walk on  bringing characteristics of upholstery furniture to the floor, making it a more comfortable place. 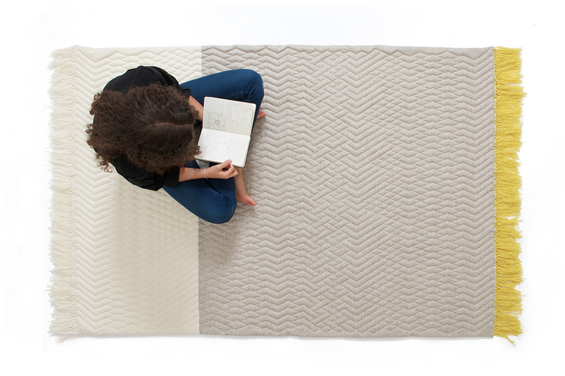 DUNE is the result of a collaboration between the two German designers Sarah Böttger and Hanna Emelie Ernsting. 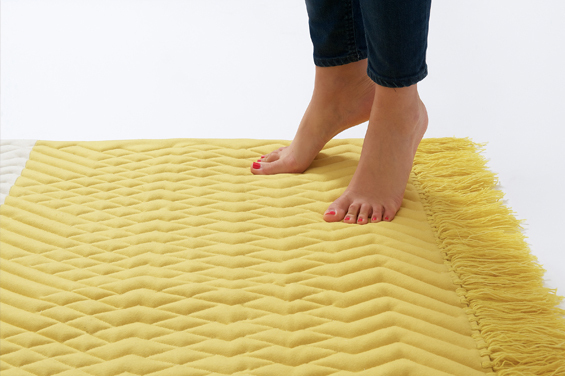 They presented the carpet for the first time at the SaloneSatellite 2014.